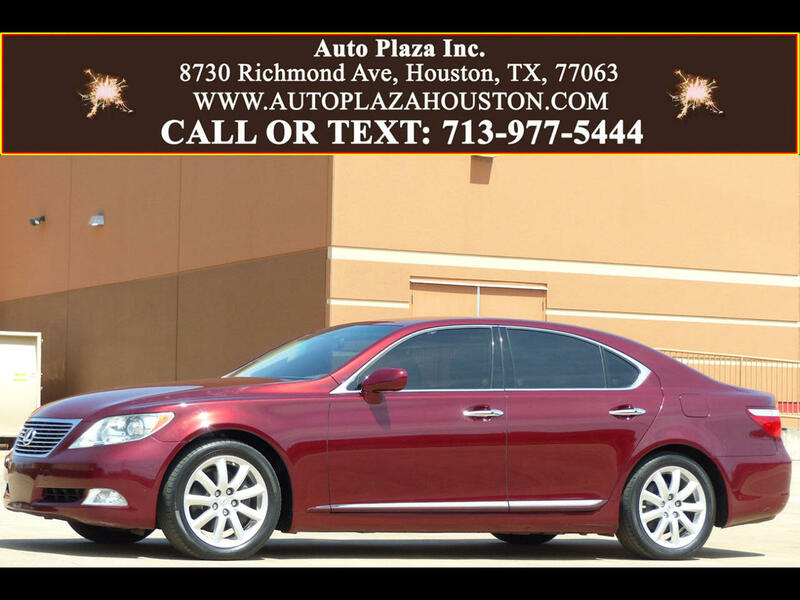 Used 2007 Lexus LS 460 Luxury Sedan for Sale in HOUSTON TX 77063 Auto Plaza, Inc.
Auto Plaza Presents To You This Clean Low Mileage 2007 Lexus LS460 With a Slick 8 Speed Automatic Transmission!!!!! This Vehicle Features The Comfort Package, Mark Levinson Audio and the Advanced Parking Guidance Packages Meaning This Car Will PARK ITSELF!!! Options Include, Navigation, Power Sunroof, Power Heated/Cooled Leather Memory Seats, Heated Rear Seats, Soft Close Doors, XM Radio, CD/ MP3 Player, Cruise Control, Push Button Start, Intuitive Park Assist With Front and Rear Parking Sensors, Rear Air Conditioning, Lexus Link, Power Trunk Lid, Heated Steering Wheel, Power Mirrors, Power Locks, Power Windows, Dual Front Airbags, Side Air Bags, Intermittent Wipers, Tilt Steering, and Too Much More to List! We are Very Excited to Present this Amazing Deal to You because this Lexus has it all; LUXURY, POWER and COMFORT in One Package. This Car Will LEAVE YOU SPEECHLESS. We can Guarantee with Certainty that Once you are in the Driver's Seat, You WONT WANT TO GET OUT!!! This Lexus LS460 has a theft recon title, So, What Are You Waiting For? Call Now!!! We Look Forward To Hearing From You.